What do Rock ‘n’ Roll and your daily success have in common? How about rocking your golf game or your college experience? Listen to The Unleashed Radio Hour this Thursday on Business 1110am KTEK (Streaming on line at www.business1110ktek.com) from 10am-11am (CST) where our guest, and Houston’s First Lady of Radio, Dayna Steele will join us and share her experiences as an award winning rock radio personality and successful entrepreneur! This show is guaranteed to Rock Your World! 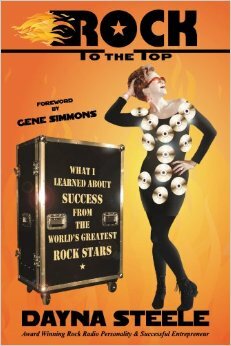 This entry was posted in Rock and Roll, Success Tips, Talk Radio and tagged Dayna Steele, Rock ‘n’ Roll, Success Tips. Bookmark the permalink.